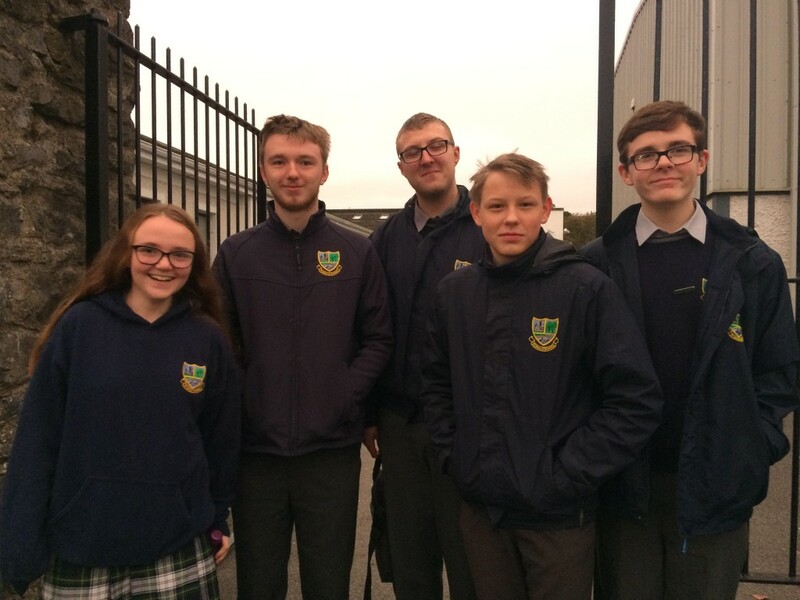 On the 9th of October 2018 five students representing St. Paul’s Secondary School Student Council, Dominik Galgus, Michael Rapciak, Liam Harrison, Shannon Ransome and Patrick Duffy, attended the Kildare Comhairle na nOg 2018 AGM. The theme of the 2018 AGM was mental health. A bus picked up the Student Council members at the student gate at 8:45am along with members of Monasterevin Youth Action, the local youth project in the town. It made further stops along the way to the final destination, the Westgrove Hotel in Clane. On arrival, each delegate received a goodie bag and a stamp on their hand, which was used later to assist with the division of delegates into groups for a series of very exciting workshops later on in the day. A delicious breakfast was enjoyed in the O’Connell Suite of the hotel and then it was on to the Alexandria Suite where the delegates were formally welcomed and addressed by the county panel of Comhairle na nOg. A very informative presentation on Mental Health was delivered by Aoife Connolly and then it was time for the workshops which focused on the following five strands: mental health; physical health; emotional stigma; how to cope and deal with stress; and what is depression. The delegates each participated in four workshops, and lunch was taken after two workshops were completed. After lunch the workshops were completed before the whole group returned to the Alexandria Suite. The day’s proceedings were concluded and an outline for the 2019 AGM was shared with the delegates. All delegates completed a feedback activity before returning home on the bus.